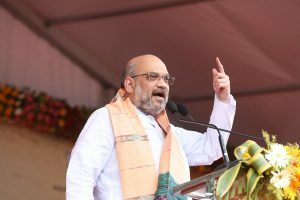 TNI Desk: The ‘Mission 120’ campaign unleashed by BJP’s national president Amit Shah, has baffled even his own party leaders. A party, which has just 10 MLAs in the 147-member Odisha Assembly, but rising steadily on anti-incumbency factor as well as at the cost of a sinking Congress, the figure would be nearly impossible. But, Amit Shah has something else in mind. His first task is to confuse the rivals and trigger panic in the BJD camp. While it would boost the morale of BJP workers and leaders at the grassroots level, it will also compel the dissidents in BJD to switch sides. Instead of Mission 75, Shah chose Mission 120, which sounds over-ambitious. But, he knows his strategy and the implications well. It would be difficult to read his mind. Nobody knows his game plan. Yes, Odisha is an important state from various perspectives. And, Shah wants it at any cost.